Do you know what is Facebook Watch why have you hearing so much about Facebook Watch service now these days. You can get all the information in this article. Recently Facebook has launched its new Video Streaming Services called "Facebook Watch". This service can challenge its competitors such as Amazon, YouTube, and Netflix. And finally Facebook also finally put its foot in this video streaming area. 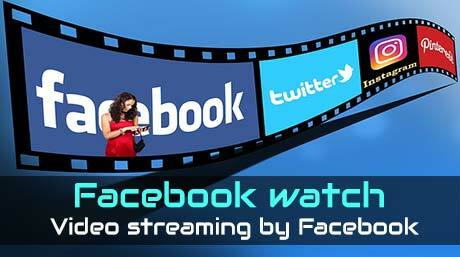 Facebook Watch is one of the kind of video streaming services that Facebook has for the first time In the August 2017, only a few users were launched in the USA. Facebook Watch is a type of video monetization service designed specifically for video content creators. This video has mini documentaries, live sporting events, streaming of live actions, news videos, and so on. This is a great news for social media's content creators. This is a great news for Youtubers, especially since Facebook has launched Facebook Watch to compete with Youtube and other video streaming services throughout the world. Last month, this programme officially launched on 29th August. In this program, as well as YouTube, content creators can earn money from Facebook by publishing good content. Facebook will provide you the same amount of money YouTube offers to your creators. For this, publishers will have to monetize their content. So let's know what is Facebook Watch and what will the publishers have to do for it? This is a great way to stay connected with your creators and publishers. Because all your favorite creators will be seen in videos watch feed watch list that you can personalize according to your own. You can also save videos of your news feed which you do not want to see instantly To see later. The first company had started this service only for some publishers as testing purposes, but due to its popularity and demand, the company had planned to launch it in a big scale and did it too. More and more creators can become part of this service and they can get the right price for their hard work. Facebook Watch provides users with personalized recommendations in its Discover tab, which allows users to show recommendation according to their choice, some categories such as "Most Talked About,", What's Losing People", and Shows Your Friends Are Watching etc. Subscribing to Facebook users as soon as their subscribe fans Through these show-linked groups. During the show, Facebook users will have access to features such as live comment section which will be used by other viewers and With friends, you can chat in real-time. With this, users can view all new videos in their news feed and they just do not need to go anywhere else. This watch feed is a completely personalized watch feed which can be changed according to its needs. The reach of its users will go a lot. 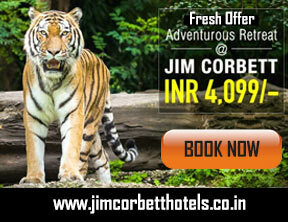 In this, the publisher can earn money by placing advertisements in his content. Between other competitors (Youtube, Instagram, Netflix) will also be good competition. New Content Creators is a very big platform to start. Most Brands will know good creators and publishers, which is going to be very useful for both of them later. I hope this article give you full information about "What is Facebook Watch" and I hope you guys You must understand about how this service can provide benefits to video creators. If you have any doubts about this article or you want some improvement in it then you can write down comments in below comment section. we will get a chance to learn something and improve from your valuable comments . If you have enjoyed this post What is Facebook Watch, or if you have learned something from it, please share this post on social networks such as Facebook, Google+ and Twitter and more.